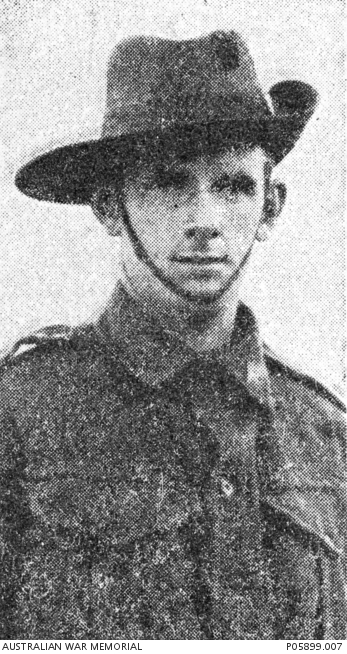 Studio portrait of 5493 Signaller Charles Cantrell, 13th Battalion, A postal assistant of Nyngan, NSW (originally of Rozelle, NSW), prior to enlistment, he embarked with the 17th Reinforcements on HMAT Nestor (A71) on 9 April 1916. On 12 September 1916, he died of wounds received on the Somme and is buried at the Etaples Military Cemetery . He was aged 22 years.